When single attorney Steven Creed becomes guardian of an orphaned five-year-old boy, he trades his big-city law firm for a ranch near Stone Creek, Arizona. Taking care of little Matt and fixing up his ranch house loosens something tightly wound inside him. But when Steven takes on the pro bono defence of a local teen, he meets his match in the opposing counsel - beautiful, by-the-book county prosecutor Melissa O'Ballivan. Best-selling author Linda Lael Miller sets hearts racing with her pulse-pounding tales of the Montana Creeds. Recorded Books’ listeners have thrilled to the stories of the Creed brothers, as rugged and complex as the Montana landscape. 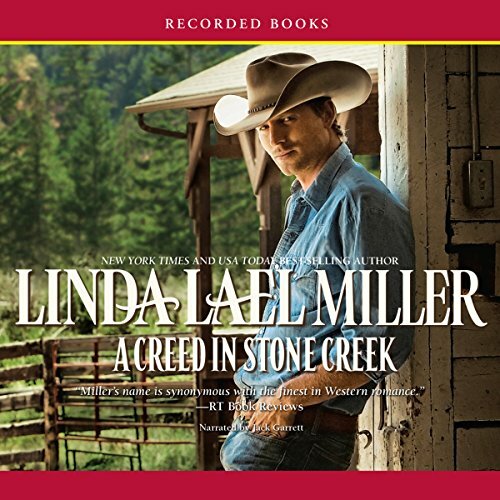 And for A Creed in Stone Creek, Miller outdoes herself with a work as wholly winning and addictive as the Creeds themselves. Linda Lael Miller’s New York Times best-selling contemporary Western romances have found a place in the hearts of listeners worldwide. 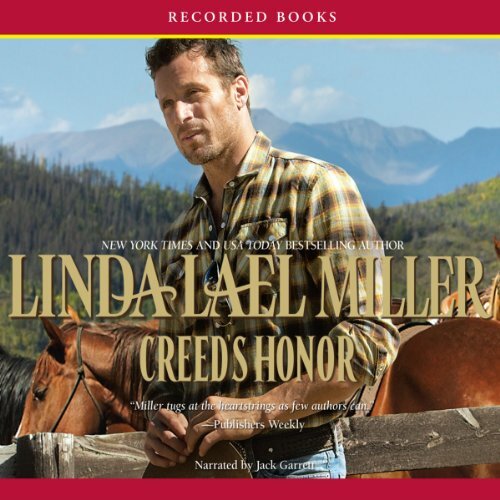 Creed’s Honor stars Connor Creed, a rancher reluctantly carrying on his uncle’s legacy in Lonesome Bend, Colorado. For years he’s sacrificed his own dreams to fulfill the promise he made to his uncle. But everything changes when his wild, estranged twin brother re-enters his life—and then there’s the beautiful Tricia McCall, who stirs feelings of passion deep within Connor’s soul. 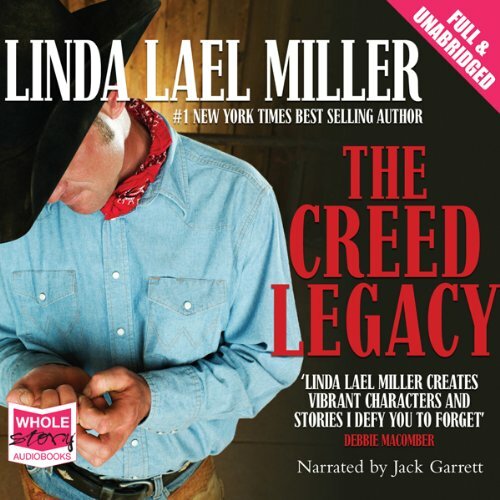 Linda Lael Miller captivates fans with rapturous contemporary romances starring the strapping men of the Creed family. Each entry in the sprawling saga finds a place on the New York Times best-seller list and in listeners’ hearts. Here, rodeo cowboy Brody Creed reluctantly returns to Lonesome Bend after a chance meeting with his estranged twin brother. Not much is keeping this free spirit in town, until he meets Carolyn Simmons—a woman with wanderlust of her own. This cowboy is not my weakness.